The general consensus among the American public seems to be that hitchhiking is terrifyingly dangerous. Truth be told, most of the time it tends to be pretty uneventful; however, there are exceptions, and I’ve experienced several. I’ve written about one of my favorite hitches previously, and, inspired a bit belatedly by #CrimingWhileWhite (and even more so by #AliveWhileBlack), I decided I should recount the time I hitched a ride in a police car. It would be difficult to have lived in the United States during the last several weeks and not know about the impassioned and thought-provoking discussion surrounding race and racism that has recently been pushed to the forefront of the media’s discourse. This bleeding heart liberal will refrain from being too political at this juncture, except to say that I have often found myself on the receiving end of white privilege. Not just that. Perhaps “blonde privilege” is a more accurate description. 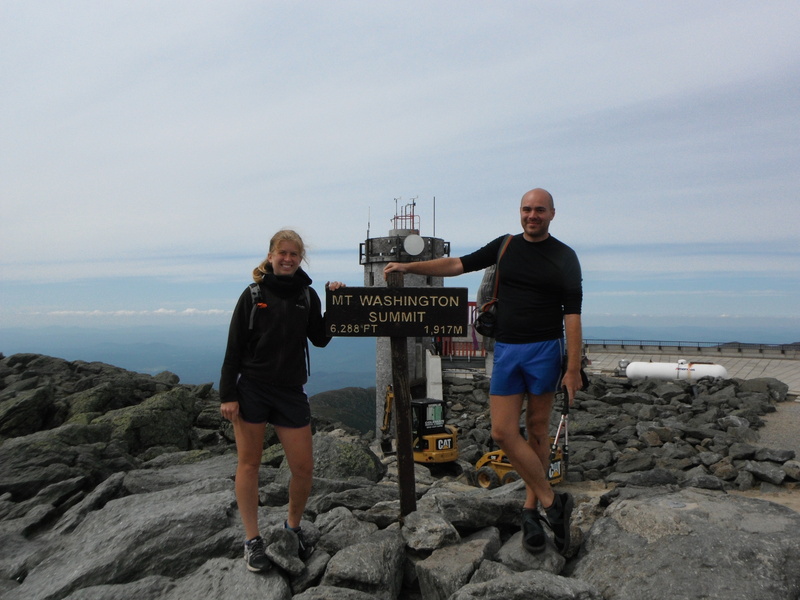 In the summer of 2013, on the hitchhiking trip Quiver and I took and that I linked above, we headed through my favorite region of New Hampshire to get to Franconia Ridge, where we hiked to meet a mutual trail friend of ours. Now, the western edge of the White Mountain National Forest is sort of my old stomping ground, as I spent the summer of 2010 there, doing research at Hubbard Brook Experimental Forest (thanks to the National Science Foundation’s REU program). And, it was this fact that I used as my “inch of truth” when I was confronted by a police officer on the side of I-93. Police officers have a tendency to harass hitchhikers. As wanders and vagrants, we are both relatively likely suspects for misdemeanors and relatively vulnerable to attacks from authority figures. We don’t know people in the community — or in the police department — of whatever town, state, or country we find ourselves in, and the consequences of not politely complying with police officers can feel more significant to us. I know all of this because Quiver, who has hitchhiked 45,000 miles in 47 states, has been harassed by police officers many times, and he’s told me the stories from his encounters. As a poor, six-foot tall, bald man who likes to wear a sarong, Quiver stands out and has found himself questioned by the police numerous times, regardless of the fact that he had completely complied with the local laws. Some police officers have just given him a hassle; others have ushered him out of their district; still others have brought him to the department for questioning. 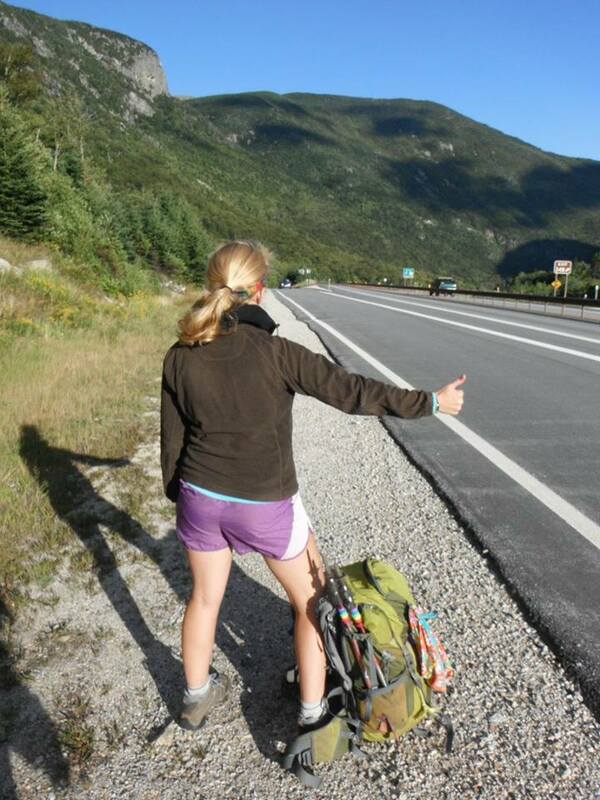 When hitchhiking solo, I haven’t drawn the attention of police officers. When I’ve hitchhiked with Quiver (which is my favorite and more frequent way of hitchhiking), I have had my ID run three times. Twice, we were completely in the right: Our IDs were run illegally. The third time, we were actually hitchhiking where we shouldn’t have been. You see, near Cannon Mountain and the Kinsmen, I-93 and US-3 merge to form the Franconia Notch Parkway. Before the merger, there are a couple exits from I-93 onto US-3. Quiver and I were in this area, hitchhiking up US-3 and not making fast progress; everyone on the road only seemed to be going a few miles. So, at my suggestion and because I knew that the roads merged eventually, we walked up the exit ramp and hitchhiked on the side of I-93, off of the broad shoulder. Only moments after we got there, a police officer pulled up in front of us. Quiver figured this would end poorly and tensed up. With years of blonde privilege fueling my confidence, I approached the police officer innocently and asked what was wrong and how we might get to Franconia Notch. Instantly, he softened and explained that we needed to get to Lincoln; the next thing I knew, he was offering to drive us there. With that, Quiver and I hopped in the back of the squad car. Seeing my friend looking incredulous made it really difficult not to grin. We rode six miles up the highway, chatting with the now-friendly and helpful police officer the whole way. He dropped us off on the edge of Lincoln Center and wished us well on our journey. We thanked him for the ride. 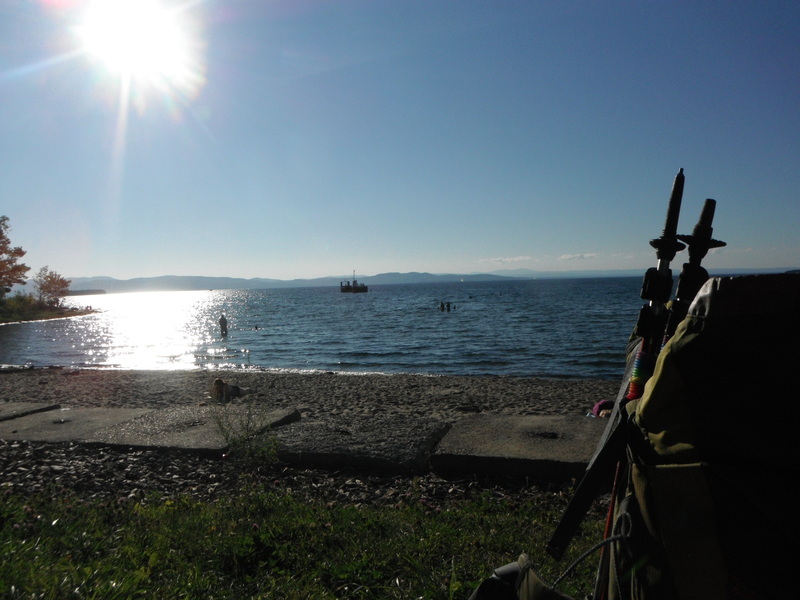 Over the last couple Thursdays, I’ve recounted the beginning of a hitchhiking voyage across New England. By being willing to change our plans and experience whatever came our way, my partner and I ended up at a commune in eastern Massachusetts before we resumed our northward journey. Before setting out on our adventure, Quiver and I had decided that we wanted to spend some time in the White Mountains again, and the best time to make that happen was after leaving the commune. Therefore, we pointed our thumbs toward Gorham, NH, and headed to Pinkham Notch and Mount Washington. 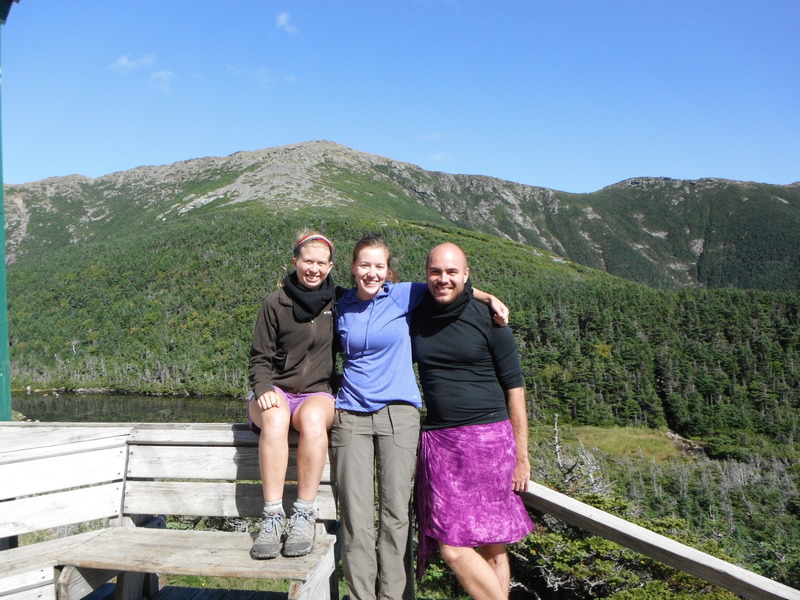 We ascended Mount Washington via Huntington Ravine, the infamous trail that I love too much. On the way down the mountain, we saw a moose trailside — the first (and, thus far, only) moose I’d seen in my life! If that wasn’t enough, as I was coming out of the restroom at the trailhead, I ran into Sunbeam, a woman who tends to spend as much time in these woods as I do. Quiver and I had hiked near her for several days in 2012, and we’d all stayed at Kincora (arguably the best hostel on the trail) together. It was so fun to see her again! Sunbeam informed us that she was working in one of the Appalachian Mountain Club’s High Huts and that, in keeping with the theme of serendipity, none other than Gluten Puff, one of Quiver and my favorite 2012 thru-hikers, was working in Greenleaf Hut that summer. And, with that and hugs goodbye, we headed to Franconia Notch. Walking into Greenleaf Hut and completely surprising Gluten Puff was a blast. Quiver and I had had these grand hopes of hiking our beloved Franconia Ridge after a short chat with Gluten Puff, but the conversation was so enjoyable that neither of us wanted to leave. Besides, one of the most important take-aways from all the traveling I’ve done is that (apart from the Old Man in the Mountain) beautiful places are much more stationary and long-lasting than people; while seeing beautiful places is exciting and worthwhile, it’s also important to take advantage of the time we have with friends and family. And so, Quiver and I spent a gorgeous summer day inside a hut on the shoulder of Mount Lafayette, talking with a special trail friend until lengthening shadows forced us back down the mountain. From Franconia Notch, we hitchhiked to Burlington, VT, where (after swimming/bathing in Lake Champlain) I caught up with and introduced Quiver to Monica, a friend of mine from college. After a wonderful night near a vineyard somewhere south of Burlington, we headed down Route 7 to Williamstown, MA (where we’d been just a few weeks earlier to hike Greylock), and then back to central Massachusetts along the Mohawk Trail (a highway). As dusk was fading on the night before the day of Quiver’s flight out of Portland, ME, we seemed to be stuck 12 miles or so from my car. Just as we were on the verge of making camp, a petite Asian American woman pulled up beside us and, in broken English, invited us into her car. While her home was on the way to mine, she decided to take us all the way back to my place, and we arrived home just as darkness fell in earnest. The next day’s drive to the airport was uneventful but bittersweet. The weeks of intentional spontaneity, of mountains, of community, of old friends and new, had come to an end. I worked to cherish the memories and not cry because it was over but, rather, smile because it had happened.